I remember when I was a young student at Bible college. I remember hearing about the transmission of the Bible through the centuries. I remember learning about critical methodologies (the ways we examine a text). The first time I ever heard such outrageous thoughts I thought, “How can these professors claim to be Christians and treat the Bible like this?! ?” I was 19 – young and dumb. I grew in my knowledge. I grew spiritually. I saw that my professors could talk honestly about the Bible yet were still incredible people of faith. I decided that I wanted to be like that, too. So I studied the Bible. I earned a Bachelor of Arts and Master of Arts in Biblical Studies because I wanted to really KNOW the Bible. I earned a Master of Divinity in Pastoral Preaching because I wanted to be able to communicate well everything I knew about the Bible – God’s revelation to humanity. 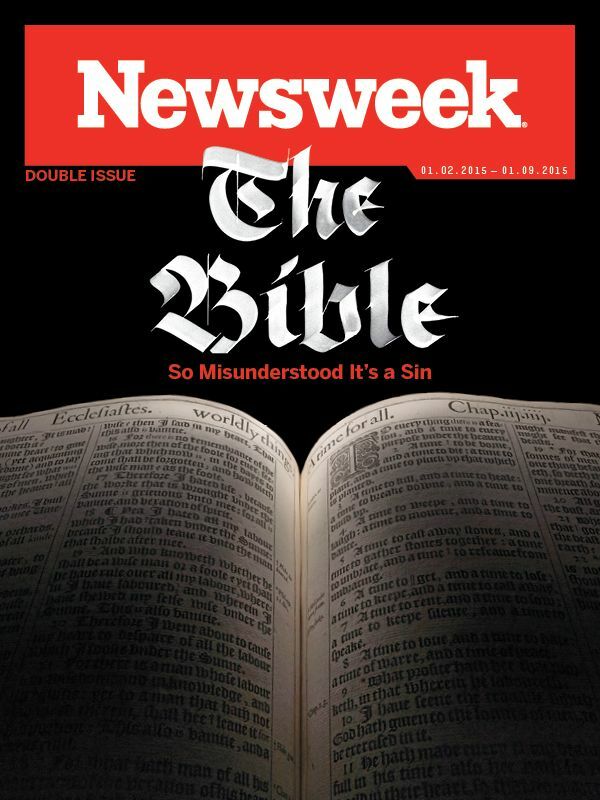 When I read the latest Bible article from Newsweek called “The Bible: So Misunderstood It’s a Sin“, I had a flashback to the 19 year old version of myself – before I matured. Kurt Eichenwald wrote a very LOOOONG piece that brings up a lot of those questions with which Bible novices question. The problem with his article is that there is no evidence of growth. The problem with his article is that it is designed to attack the Bible rather than approach it in genuine study. The problem with his article is that it’s not about the Bible – not really. Mr. Eichenwald’s article is about politics. This is no longer a matter of personal or private faith. With politicians, social leaders and even some clergy invoking a book they seem to have never read and whose phrases they don’t understand, America is being besieged by Biblical illiteracy. I must compliment Mr. Eichenwald’s writing. His use of imagery, rhyme, and alliteration is worthy of some of the best preachers I’ve heard. But he’s not talking about the Bible for the sake of examining the Bible. His article is clearly pointed towards taking down certain people that use the Bible and faith in their politics. He’s using all the right buzzwords, isn’t he? No, Mr. Eichenwald is not writing about the Bible. This is a political piece. And that totally makes sense – his undergraduate degree is in…you guessed it – political science. Still, you can’t unring the bell, and Mr. Eichenwald’s piece has brought up a lot of issues that many Christians never thought about (or even knew about). So here are my issues with the article. 1. Mr. Eichenwald seems to lump all Evangelical Christians into the same camp. He writes against “the illiteracy of self-proclaimed Biblical literalists” as though all Evangelicals fall into this camp (we do not). The rest of his piece is a Bible hatchet job, trying to prove why literalists are wrong and should get their heads screwed on straight. The truth is that there are many Evangelicals who are not literalists. There are many of us who recognize that the Bible contains parts that ARE meant to be read literally. But there are parts meant to be read figuratively. The Bible is filled with poetry, prose, fact, fiction, prophecy, history…get the idea? 2. Mr. Eichenwald shows only a rudimentary grasp of the Bible’s transmission history and critical methodologies. He is actually correct when he is reporting facts. There ARE thousands of manuscripts and fragments of manuscripts. All of the manuscripts have slight (and sometimes major) differences. Punctuation was not part of the original Greek manuscripts and can change some meanings if you tweak periods and commas. Some Bible stories are in certain manuscripts that don’t appear in others. What Mr. Eichenwald writes in an attempt to shock and startle Christians is not shocking or startling. He writes nothing that I wasn’t taught at a “conservative” Christian university (an Assemblies of God Bible College). But Eichenwald only brings up the problem and never talks about the solution – what we call critical methodology. We examine texts. We compare texts. We talk about the sources for texts. Secular scholars utilize the same methods when working with Homer’s “The Odyssey” and other ancient texts. So we work our way back to the text closest to the original writing. When you look at the transmission of the Bible compared to works like The Odyssey, the Bible is actually much more reliable and better attested! 3. Mr. Eichenwald doesn’t understand translation issues. There is no such thing as a perfect translation. I’m not talking about the Bible. I’m talking about ALL of life. It’s the reason we have the expression “lost in translation.” Anytime you try to move thoughts and ideas from one language into another there is going to be some amount of change and interpretation taking place. Wait, what? I started with four words and went down to three. There is no exact translation. So yes, in translating from Hebrew and Greek into English, sometimes words and phrases are shifted so that we get to the best meaning and wording of the text. It’s not, Eichenwald puts it, “translational trickery.” And the New Testament DOES attest to the deity of Christ (an idea that Mr. Eichenwald seems very intent to disprove). 4. Mr. Eichenwald chooses to focus his “examination of the Bible” and slam some conservative talking points: homosexuality, feminism, government control, and prayer. He highlights that homosexuality is included in sin lists with many other sins and thus should not be highlighted by conservatives. On this point I actually agree with him. The Bible talks about many sins. We tend to get bogged down in the ones that affect or bother us the most. We also like to focus on other people’s sins rather than our own. So many times we’d prefer to focus on your sexuality than our drunkenness or envy. He’s right. But still – it’s a sin (the Bible is clear that God-designed sexuality is between a man and a woman who are married to each other). Mr. Eichenwald seems to think that, since homosexuality is included in sin lists with other sins, those of us who wrestle with other sins should not point out homosexuality. There was only one sinless man ever to walk the earth. The rest of the time, sinners are going to point out sin. We need to do it better. We need to do it with fairness and consistency. But still we do it. As to the other biblical issues Mr. Eichenwald raises, I believe most of them are washed away when you examine the Bible in light of its historical context. The Bible was not written in a vacuum, and many times the authors address specific issues that are not intended to be binding for all humanity for all time. This examination is not an attack on the Bible or Christianity. Really? I don’t know how anyone could view it as anything BUT an attack. I see it as an attack, and I’m not even a Fundamentalist Evangelical (I like to think I’m an even-keeled kind of guy). Jesus said, Don’t judge. He condemned those who pointed out the faults of others while ignoring their own. And he proclaimed, “Thou shalt love thy neighbor as thyself. There is none other commandment greater than these.” That’s a good place to start. Mr. Eichenwald’s article is really geared to stir the pot, not engage in honest dialogue about the Bible. I am saddened (but not surprised) that Newsweek published such a piece. I would have to agree with your use of “truthiness” in describing your review…. Instead of affirming the issues (legitimate issues) that Mr. Eichenwald has regarding the Bible and the people who read it (and misunderstand it), you effectively pitted your readers against him. Instead of an attempt at understanding, you went into “attack” mode, and I don’t feel that this is an honest, Christian way of dealing with such an issue. I don’t deny any of the issues Mr. Eichenwald brings up. The issues weren’t my problem. They are quite familiar to Evangelical scholarship. My issue was the way he went about using the issues to attack the Bible without even broaching the subject of how honest Evangelical scholars talk about and deal with the issues. As for my piece being geared towards Christians – it is. The blog is not meant to yield converts. This particular blog is about helping Christians turn the Bible into real life. In that sense, my piece was apologetic, defending the Bible from the Mr. Eichnwald’s effort to cut it down. I have not been anything less than honest in my piece. I do not doubt your honesty. I just wish you would be a little more careful with your use of words. If you feel the author is being dishonest, then say that. Don’t say he is a liar. The example you set here for your readers is important. You say that this blog is for helping Christians “turn the Bible into real life.” Well, on this site, it starts with you—with your words, specifically. So how you use them is of the utmost importance in showing your readers how to apply the Bible to real life. You are the expert. Your words matter. So use your words wisely. Use your words to show people how to be Christ-like, not Chris-like. Of course, you can do whatever you want this blog—it’s yours. 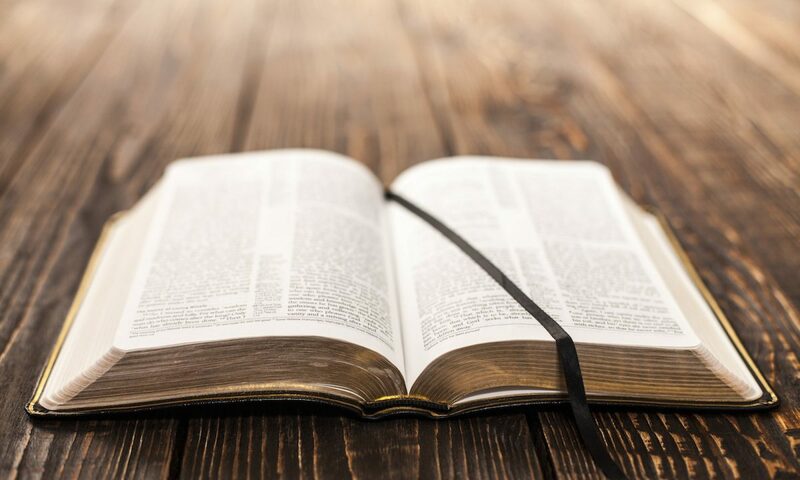 But if your goal is to orient your readers’ lives to that which is Biblical, I would offer you this last word: The point of the Bible, for Christians, is Jesus. Orient your readers toward Him—not the Bible. “Jihad?” What exactly do you mean? The word “Jihad” has many meanings. So what is your intended purpose of “Jihad” in the title of the post? —Maybe you mean to say that, TO YOU, it feels or seems like he is attacking the Bible. TO ME, he is not attacking the Bible. It seems, TO ME, that he has approached it “in genuine study” more than he has “attacked” it. — The author’s stated intent is in the fifth paragraph: “it is designed to shine a light on a book that has been abused by people who claim to revere it but don’t read it, in the process creating misery for others.” Maybe you meant to say that you BELIEVE his true intent is found in the selection you quoted. — Your claim that the author isn’t writing “about the Bible.” seems, to me, to imply that it WAS his intent—to write about the Bible (in isolation). The problem is, the author never claims he is writing “about the Bible.” He is writing, essentially, about the people who misunderstand it, not the Bible itself. Sure, parts of the article are “about the Bible” but this is not the entirety of the article. As for his degree, it might not be as relevant as you believe it to be. The author states that the article is “based in large part on the works of scores of theologians and scholars, some of which dates back centuries.” Isn’t this what students in “Bible college” do—study the works of theologians and scholars? He can lean on the wisdom of others to form his opinions, as you have done in your quest as well. 1. The purpose of using the word Jihad was ironic. Jihad is a war or struggle against unbelievers. The article in question seems to be a struggle from an unbeliever against believers (particularly Evangelical believers). 2. There is a difference between stated intent and true intent. His stated intent is less-than-honest. His word choice and criticisms reveal his true intent – he wants to bring Evangelicals down a notch and destroy their understanding of the Bible. This idea is reinforced by the simple fact that the author never addresses any resolution to the issues he brings up (and there are resolutions) – he simply attacks with the problems. 3. He is using an attack of the Bible to attack people he politically and ideologically disagrees with. His real goal isn’t a discussion of the text – his real goal is to bring down politically active Evangelicals. 4. His degree is relevant. It goes to support the idea that his article on the Bible is a (thinly) veiled attack on politically active Evangelicals. I don’t doubt that there are “scores” of experts who bring up the points he made. I’ve read many of those same experts. None of his points were new in the world of biblical studies. My point is that he does a half-baked job. He brings up the issues and pokes holes as though that’s the end of the story. He doesn’t address the scores of experts who resolve the very issues he brings up. 5. I’m not sure why you put Bible college in quotation marks. Most Christian institutions of higher learning are termed Bible colleges. I went to an accredited Christian university and majored in biblical studies, earning a B.A. and M.A. Previous PostPrevious Burn the Ships!